DRINKS INDUSTRY HEADS have today called for a reversal in the increase of excise duty on alcohol, blaming it for the closure of more than 1,000 pubs in Ireland since 2007. Research by Fáilte Ireland had, he claimed, found that the high price of drink was second only to bad weather when tourists were asked to list their grievances about holidaying in Ireland. They are forced to pass the increase on to consumers who often assume the publican is price gouging. 80% of the increase in the cost of a pint in the pub since 2011 has been directly caused by taxation. Rising prices in the Republic have also caused a rush across the border, where alcohol is, on average, 35% cheaper, Cribben told the committee. Simply put, if the price of alcohol goes up, alcohol-related harm – and the huge financial burden it places on the State – goes down. We have seen in the recent past that increases in excise duty have led directly to a reduction alcohol consumption in Ireland, while when excise duty has been cut, as it was in 2010, our alcohol consumption has increased. Budget 2013 saw a 10 cent increase on the price of a pint of beer, cider or a standard measure of spirits, and a 50 cent rise on a 75cl bottle of wine. The year before that, a €1 tax hike on wine was found to have brought in €45 million in additional revenue. 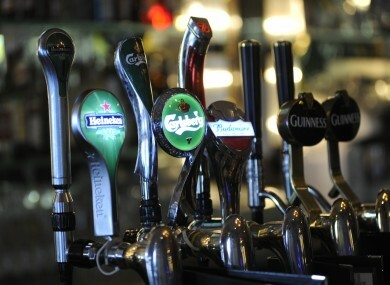 Email “More than 1,000 Irish pubs have had to shut down since 2007”. Feedback on “More than 1,000 Irish pubs have had to shut down since 2007”.